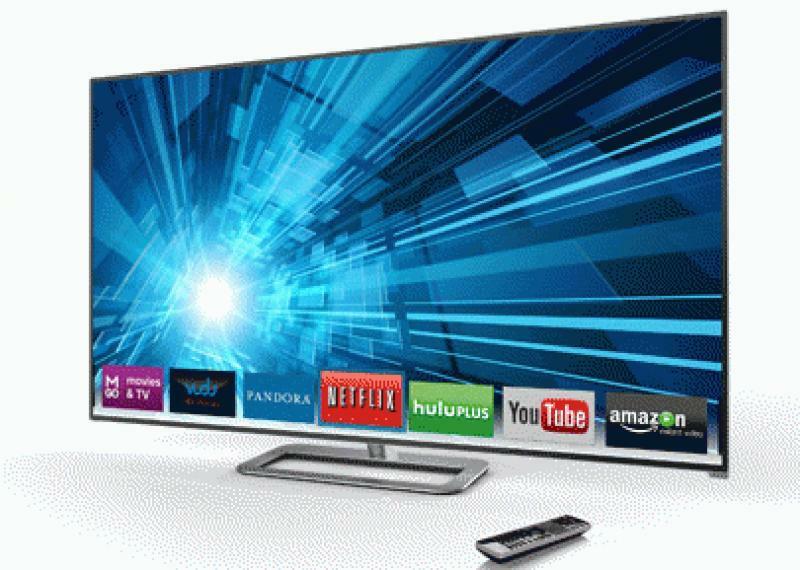 VIZIO unveiled its 80-inch Razor LED Smart TV with Theater 3D. The large-size Smart TV headlines the M-Series collection, giving consumers looking to upgrade an impressive size to upgrade to. Vizio M-Series full product line at a glance. Vizio unveils three new soundbars. 55" UltraHD TV now available for $1,999. Read more HDTV reviews at HomeTheaterReview.com. The 80-inch smart TV platform has been revamped so users of all skill levels can get through set-up and get connected. The smart TV platform offers more apps, making it convenient to start watching TV or browse apps like Netflix, Amazon Instant Video, M-GO, VUDU, HuluPlus, YouTube, Pandora, and Facebook, using the TV's built-in Wi-Fi or Ethernet connection to the Internet. Like the rest of the M-Series collection, the 80-inch unit has an ultra-thin bezel. Featuring Smart Dimming technology to reportedly deliver deeper blacks and brighter whites, the 80-inch Razor LED M-Series delivers 1080p and 240Hz effective refresh rate featuring Smooth Motion enhanced with backlight scanning. VIZIO's Theater 3D technology provides a flicker-free 3D viewing experience. The all-new VIZIO 80-inch Razor LED Smart TV with Theater 3D is available now with an MSRP of $3,999.99 at VIZIO.com and retailers nationwide including Best Buy, Costco, Amazon, Sam's Club and Walmart.